The coconut palm is often compared to "Kalpavriksha", the celestial wish-giving tree in Hindu mythology and why not! 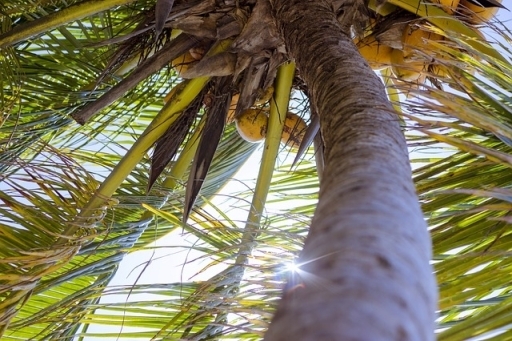 All the parts of the coconut tree can be put to some use or another. Coconut is a staple diet of the people of several countries in the world, though it's considered as exotic in the western world. Coconut oil, wrongly got the bad press for being an unhealthy oil but recent studies have shown that it's one of the healthiest oils. Coconut water, especially tender coconut water is one of the most healthiest, nutritious health drinks out there which is full of electrolytes. Being rich is potassium and magnesium, two important electrolytes, this makes for an awesome after-workout energy drink. If you're vegan or lactose intolerant, you can use coconut milk as milk substitute. Even if you do eat dairy, you can add coconut milk in your recipes to enhance the taste as well to reap the health benefits. 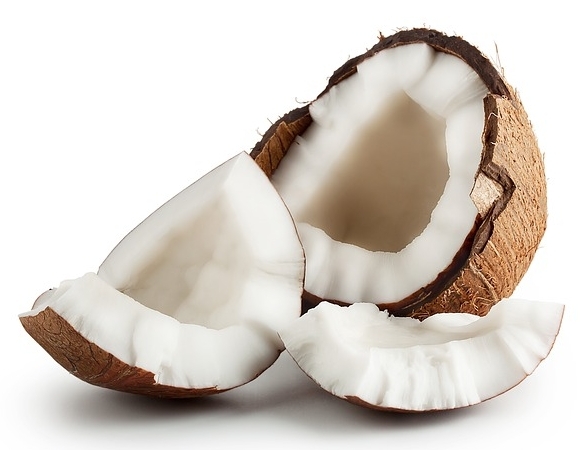 These are just a few uses of coconut that I have enumerated. If I start listing out each and every benefit, I'll have to write pages and pages. 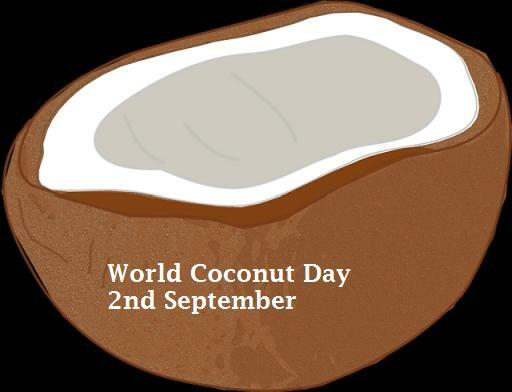 So what prompted me to write this particular post is that today, that is, 2nd September is celebrated as World Coconut Day. It's great to know that a day has been dedicated to a wonderful fruit like coconut. So on this day, let's all make a resolution to eat and use more of coconut products and promote its goodness and also grow more coconut palms. There are some wonderful articles about coconut in this blog which I'd like to bring to your notice. Coconut oil For Beauty - In this post I've listed the various ways in which you can make use of coconut oil in your DIY beauty remedies and get soft skin, silky smooth hair, remove makeup etc. Best Tips to make your life healthier and more beautiful with coconut oil - In this guest post, health benefits of the oil and some more beauty benefits are mentioned. Then there is this recipe for wonderful health drink with sesame and dry coconut scrapings. Kitchen sponges are a cornucopia of germs. So ditch that store bought kitchen sponge and use coconut coir/ fiber for scrubbing kitchen utensils. Do read the post Replace your kitchen sponge instead of sanitizing. You can also try oil pulling with coconut oil for a healthy mouth and body! Some recipes for DIY oils with coconut oil as base. Hibiscus hair oil for premature graying. Homemade oil (Lepam) with curry leaf stalks. Also read The luxurious oil bath (using coconut oil as massage oil) for smooth, soft skin. I just massage about 2 tea spoons warmed up, massage it in for 5 minutes then let it sit while I watch a half hour show.. It's more about the scalp. Then have a shower and shampoo it twice and use a conditioner a usual. I use pantene one day and then anything else the next day..
work amazing!!! I do this every month. every week is too much for me. Coconuts not only provide you with nutrition but also improve your body’s ability to absorb magnesium and calcium, two elements essential for bone health. Therefore, eating coconuts regularly reduces the risk of developing osteoporosis.